An Orbital Sciences-built unmanned spacecraft carrying a 2,780-pound cargo load docked with the International Space Station at 6:08 a.m. Eastern time on Sunday. Astronauts Michael Hopkins and Koichi Wakata worked together to bring the Cygnus into the ISS’ Harmony module and the Expedition 38 crew is scheduled to unload supplies from the capsule Monday, NASA said Sunday. Cygnus contains dozens of space-based equipment and students’ experimental work for areas such as space medicine and microgravity, NASA says. 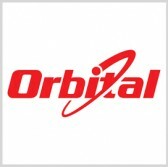 NASA works with Orbital Sciences and Space Exploration Technologies to deliver supplies the ISS through the Commercial Orbital Transportation Services program. The agency also seeks to transport astronauts to the space station during the next three years.